Ring Style Turntable. 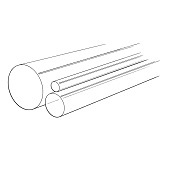 4-1/4"OD x 1-5/8"ID. Clear Styerene. Ring Style Turntable. 5-1/2"OD x 2-3/4"ID. Clear Styrene. Ring Style Turntable. 8-1/2"OD x 5-3/4"ID. Clear Styrene. 4-1/4" Turntable-Black, solid-style, Styrene. Wt. Capacity: 50 lbs. These solid turntables incorperate an internal metal ball bearing system for quiet, smooth-running operation. 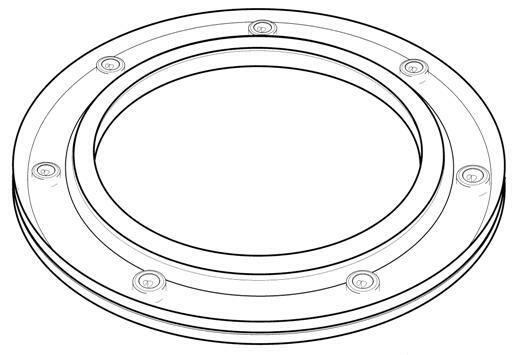 4-1/4" Turntable-White, solid-style, Styrene. Wt. Capacity: 50 lbs. These solid turntables incorperate an internal metal ball bearing system for quiet, smooth-running operation. 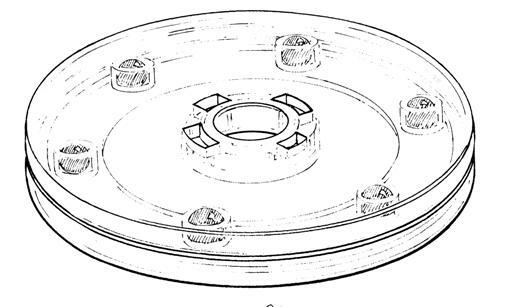 5-1/2" Turntable-Clear, solid-style, Styrene. Wt. Capacity: 50 lbs. These solid turntables incorperate an internal metal ball bearing system for quiet, smooth-running operation. 5-1/2" Turntable-Black, solid-style, Styrene. Wt. Capacity: 50 lbs. These solid turntables incorperate an internal metal ball bearing system for quiet, smooth-running operation. 5-1/2" Turntable-White, solid-style, Styrene. Wt. Capacity: 50 lbs. These solid turntables incorperate an internal metal ball bearing system for quiet, smooth-running operation. 9" Turntable-Clear, solid-style, Styrene. Wt. Capacity: 50 lbs. These solid turntables incorperate an internal metal ball bearing system for quiet, smooth-running operation. 9" Turntable-Black, solid-style, Styrene. Wt. Capacity: 50 lbs. These solid turntables incorperate an internal metal ball bearing system for quiet, smooth-running operation.